Obituary for Melanie C Martin | L.E. 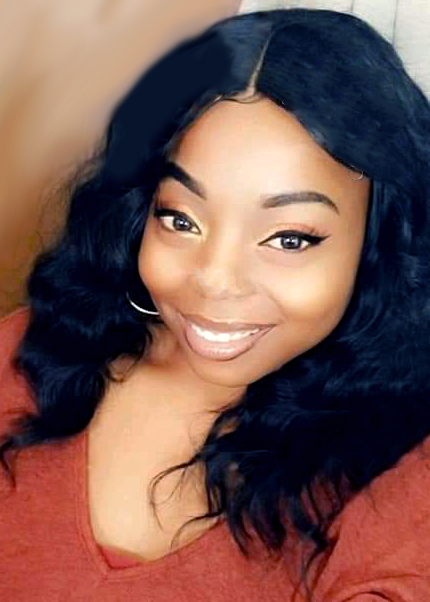 Black, Phillips & Holden Funeral Home Inc.
Memorial Services will be held Friday, April 5, 2019 at 1:00 p.m. at the Triedstone Missionary Baptist Church for Ms. Melanie C. Martin, 25, of Girard, who transitioned from this earthly tabernacle to her heavenly home on Thursday, March 28, 2019. Ms. Martin was born November 25, 1993 in Youngstown, a daughter of Vernon and Wyvette Andrews Martin. She was a 2012 graduate of Liberty High School and attended Kent State University where she majored in Fashion design. Melanie had been employed with InfoCision and was a member of Triedstone Missionary Baptist Church. Her interest included makeup, fashions, music, dancing, sewing, taking care of her little sisters and being with family. She will be sadly missed by her father; her beloved mother, Wyvette (Kevin) Williams of Liberty; two sisters, Maya and Monica Oliver both of Liberty; her grandparents, Catherine “Bubby” Atterberry of Campbell, Henry Martin of Warren, Patricia Martin of Youngstown and Rosie and Roosevelt Oliver of Cleveland; great grandmother, Virginia Andrews of St. Augustine, FL; aunts, Wanda Andrews of Girard, Keisha Collier of Youngstown and Laryssa Martin of Akron; uncles, Walter Andrews, Jr. of Colorado Springs, Colorado and Victor Martin of Virginia; her companion, Brian Golec of Girard; and a host of aunts, uncles, cousins, other family and friends. She was greeted at Heaven’s gate by her grandfathers, Walter Andrews, Sr. and Frank “Pop Pop” Atterberry, Jr.; and a host of aunts, uncles and great grandparents. The family wishes to thank Dr. Muneer Al Zoby and nurse Rebecca for their loving care and concern during Melanie’s illness. Arrangements entrusted to the L. E. Black, Phillips & Holden Funeral Home .